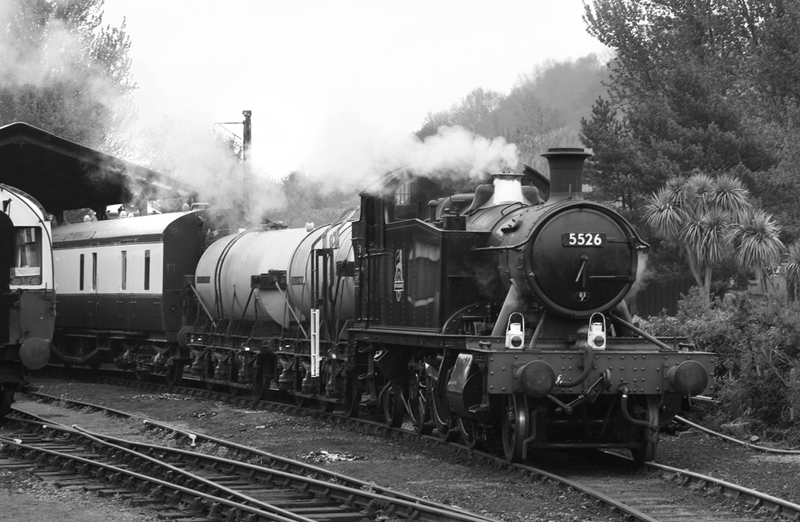 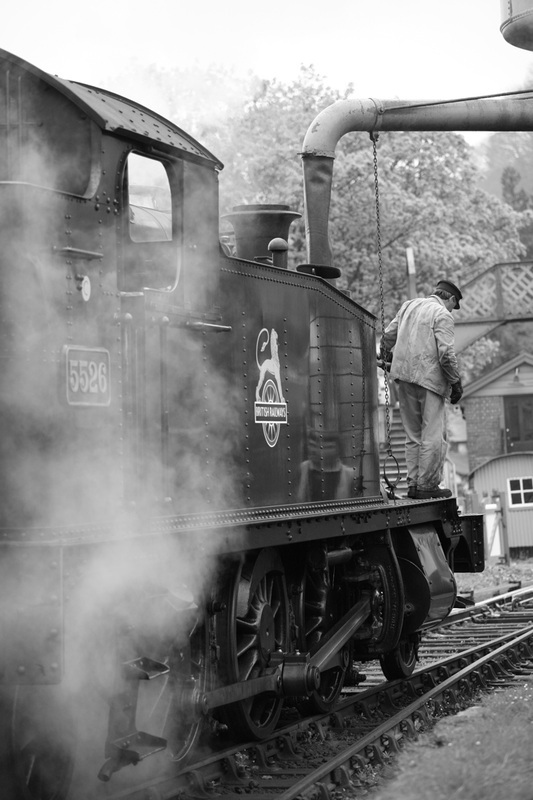 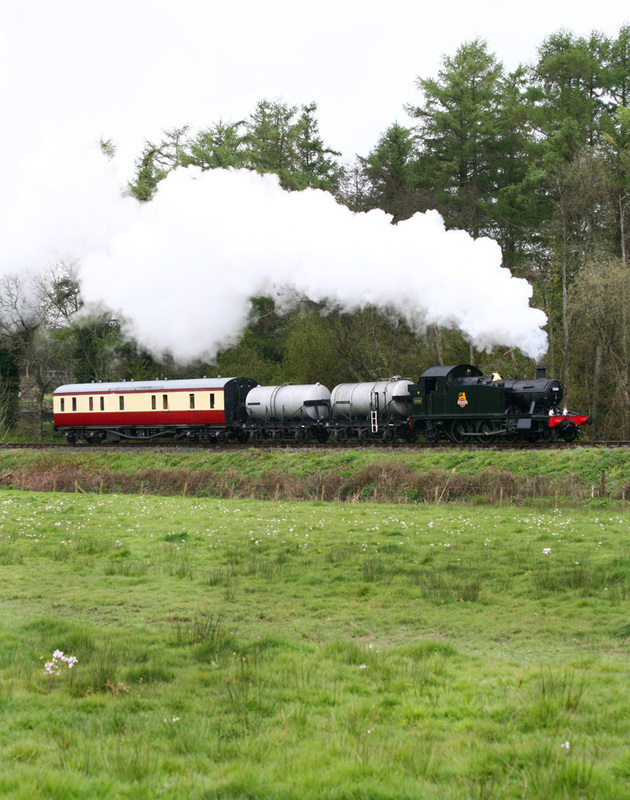 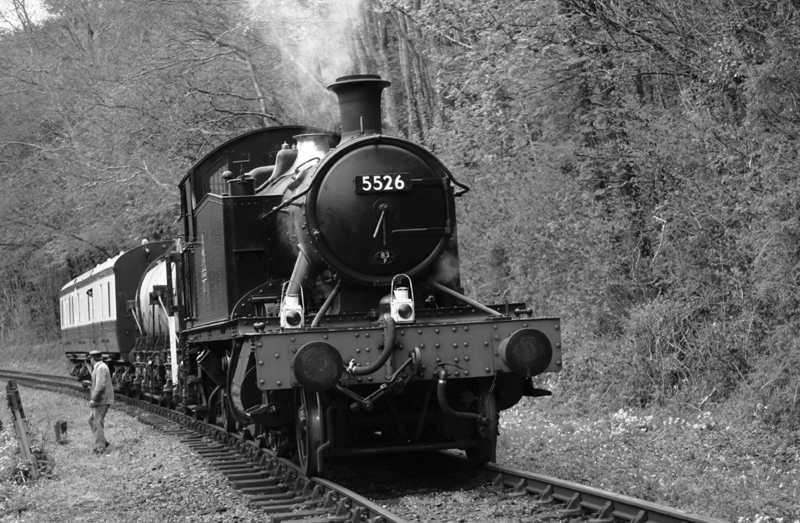 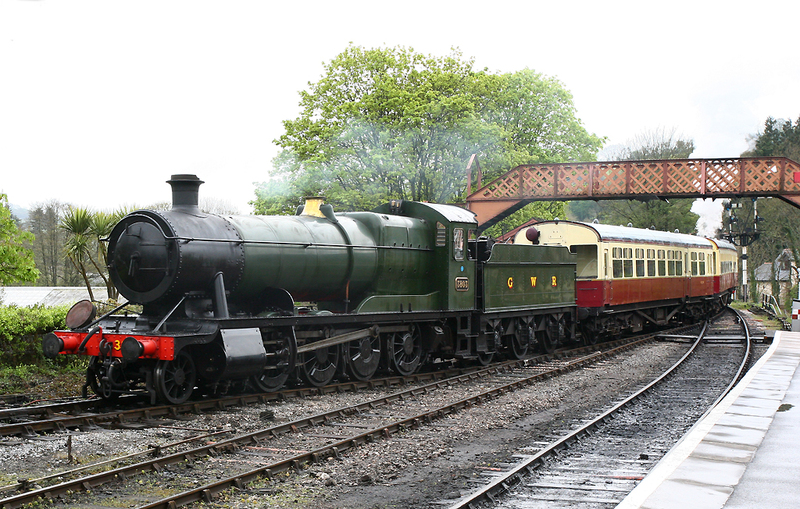 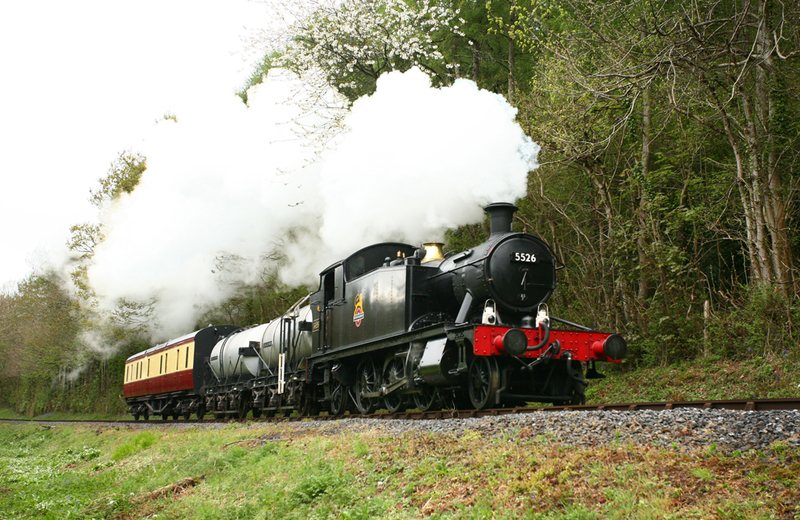 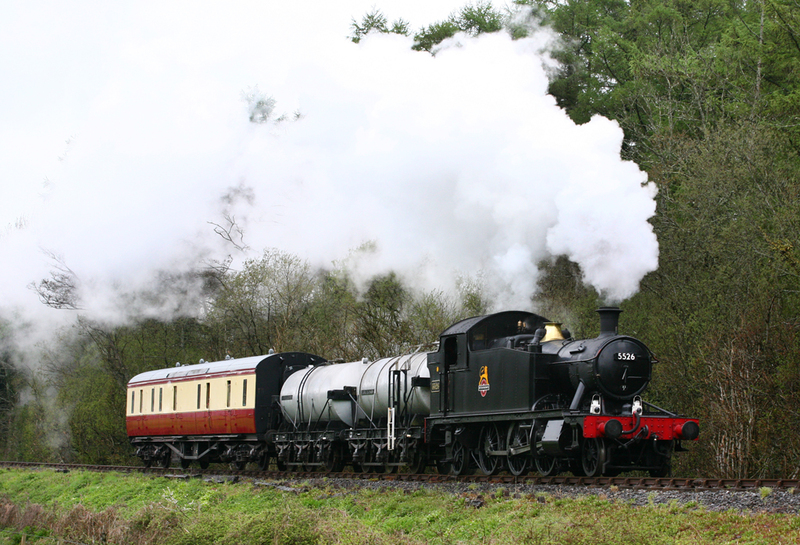 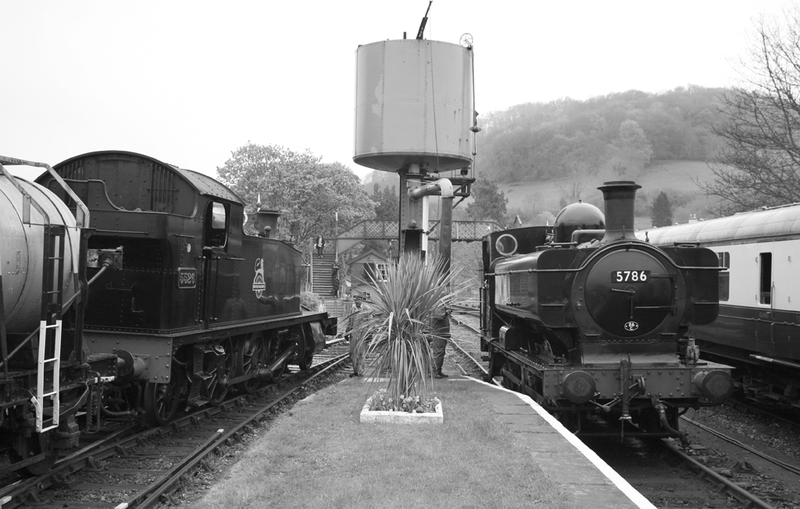 'The Milk Train' charter was held on the 24th April 2010 on the South Devon Railway. 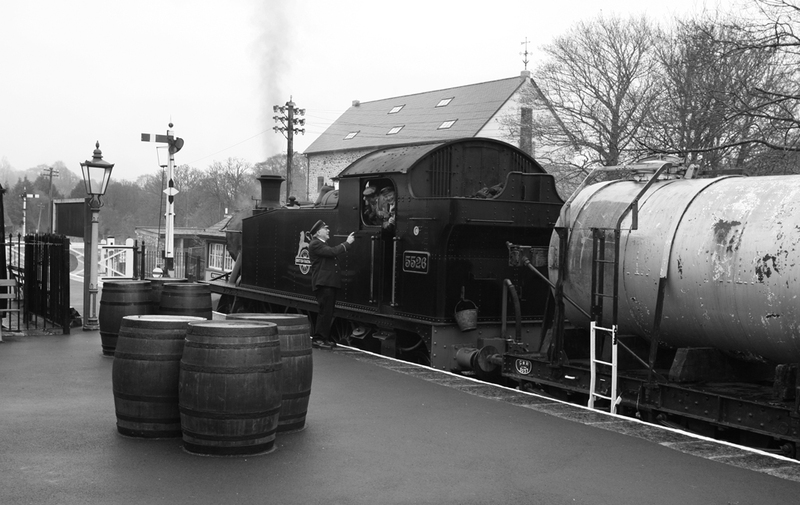 The charter was organized by Don Bishop, but coincided with a day of rain and poor weather in the Devon. 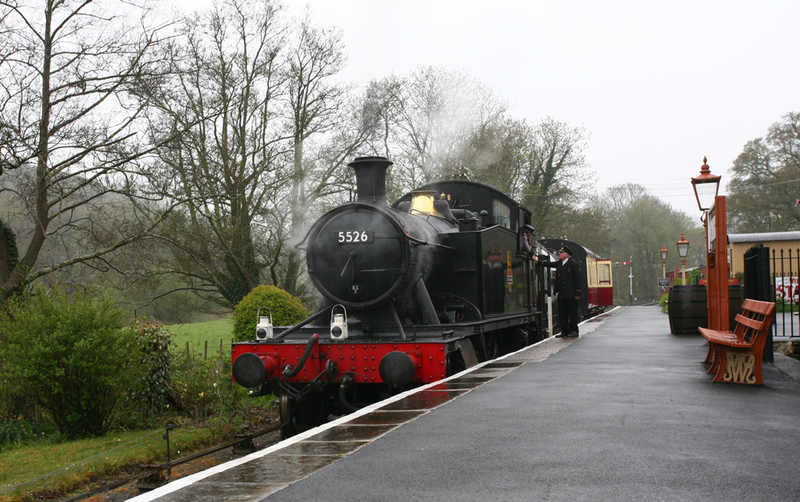 However this did not dampen our spirits and served to provide some atmosphere if nothing else. 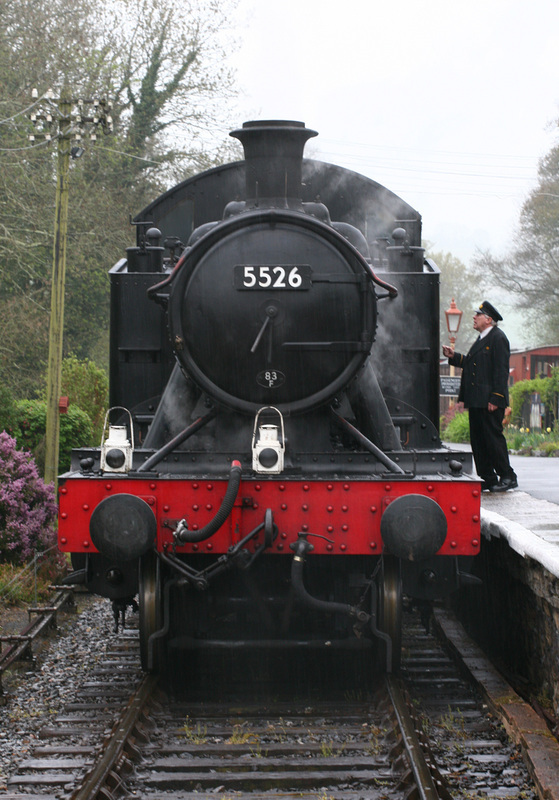 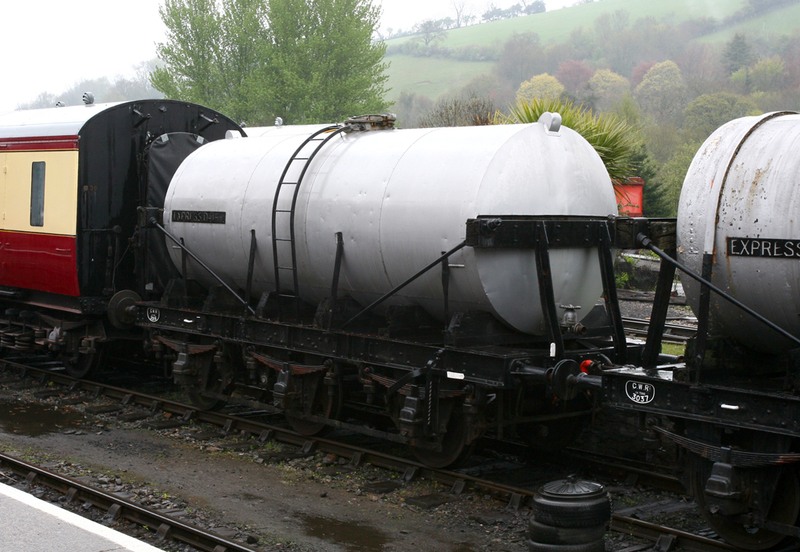 The South Devon's own Prairie Tank No.5526 was used prior to it's withdrawal from service ready for its 10 year boiler overhaul. 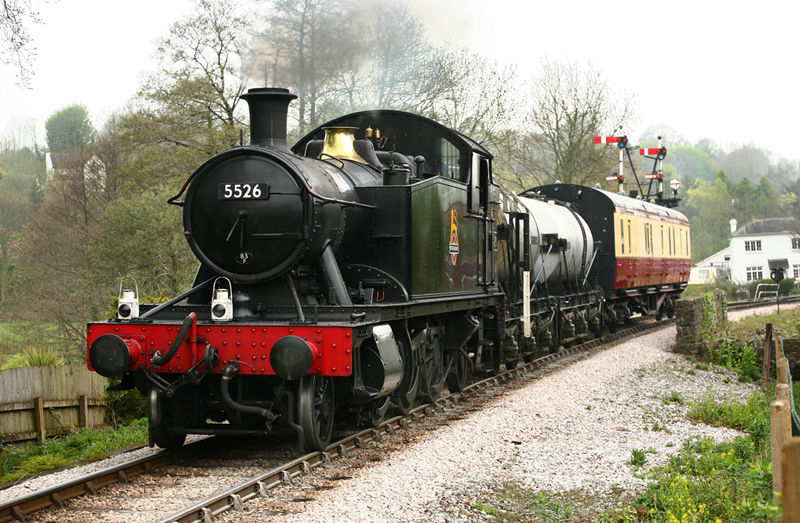 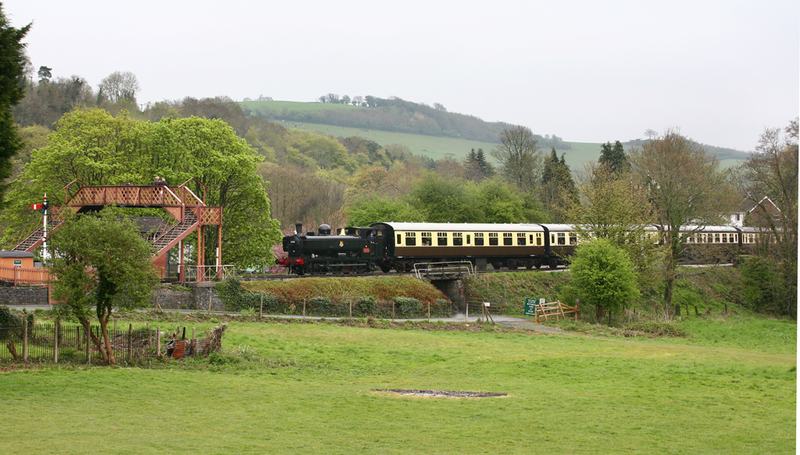 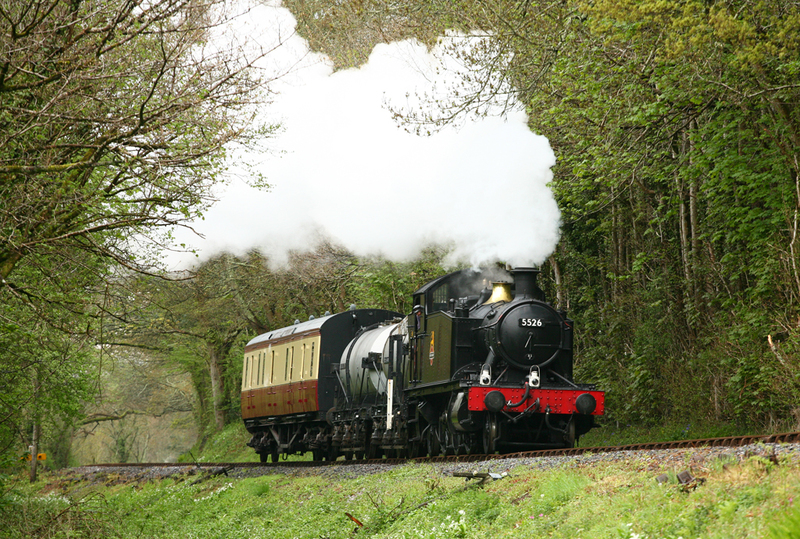 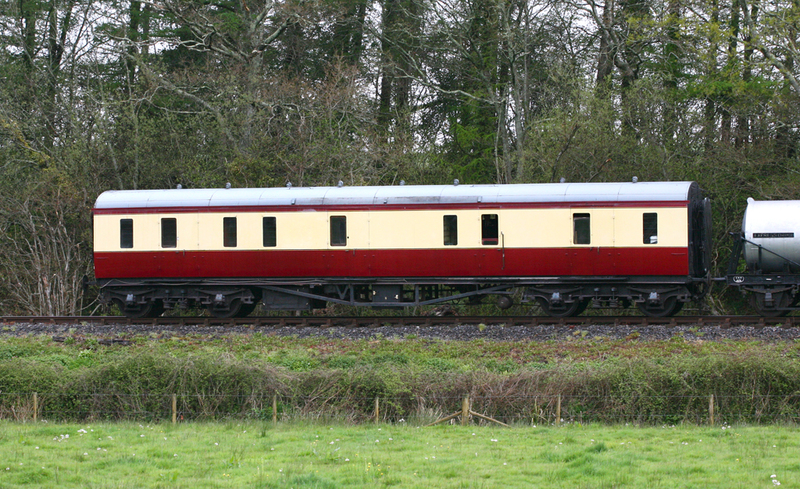 The charter operated between booked passenger services along the length of the South Devon Railway between Buckfastleigh and Totnes.